The Asian smart grid market of China, Japan and South Korea together are set to more than double to US$19 billion by 2016, according to a research report by GTM Research. The report Titled “The Smart Grid in Asia, 2012-2016: Markets, Technologies and Strategies”, looks at the cumulative smart gird market of all three countries and provide a five year forecast. In partnership with private developers Gale International, South Korea is nearing the end of an ambitious $35 Billion project. They have set themselves the task of building a city from scratch with all the essential infrastructure homes, School, offices, hospitals and shopping centres and hotels. Unlike any of the other Korean cities, ‘Songdo’ will be smart, connected and almost self sufficient. Korea Smart Grid Week, the nation’s first government-sponsored smart grid trade show, will move to Seoul for its second year in action. The event, a combined international conference and exhibition, will be hosted by Coex, Korea’s largest exhibition organizer. eMeter, the global leader in Smart Grid Management software, announced a new multi-tiered partnership with Korean based Samsung SDS. 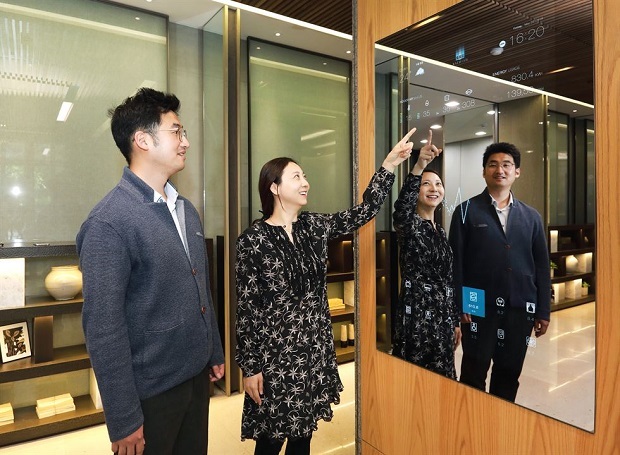 The partnership will bring together eMeter and Samsung SDS' industry expertise, regional knowledge, resources and technologies to provide enhanced systems integration and development capabilities, especially with regard to SAP integration. The partnership kicked off with a recent signing ceremony at Samsung SDS offices in Seoul, Korea.